This post “Ahrefs Alternatives” was written for people who can't afford Ahrefs but still willing to spend on paid SEO tools to improve their search traffic and breathe on, you're at the best place to find the Best Ahrefs Alternatives that rocks. Note: Being a paid Ahrefs customer, I felt shocked to see their huge limitations on “SERP updates per month” “Reports per day” after the release of the latest Keyword Explorer 3.0 in 2019. Honestly, no other tool is perfect as Ahrefs but still, I was worried about recent limitations where there are a lot of users like me, who utilize only certain features. KWFinder is the best tool for keyword research and a perfect Alternative to Keyword Explorer with higher limits and more features like last 12 months search volume, 40+ language keyword database, and local SEO city based keywords. 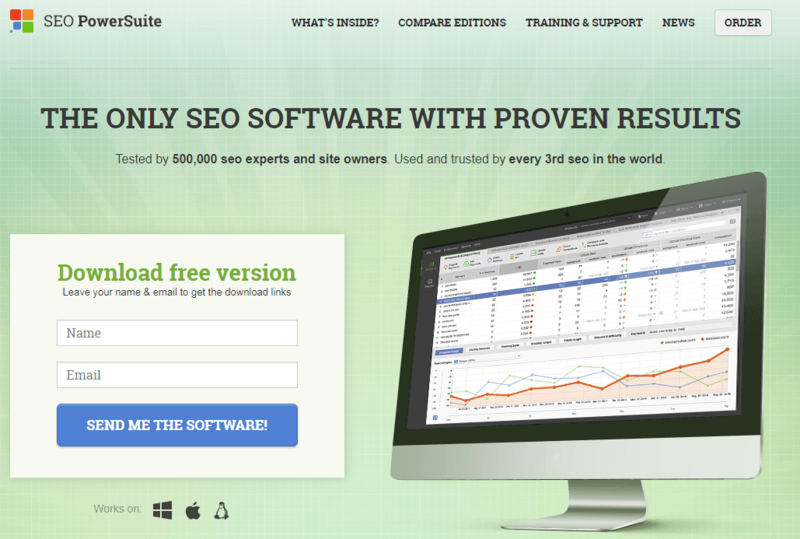 LinkMiner is the perfect alternative to Backlinks Explorer. LinkMiner uses Majestic's 8 trillion backlink database and offers a most advanced backlinks filters by which you can find the easy to replicate backlinks of your competitors. SERPWatcher is your perfect alternatives to Rank Tracker. You'll get daily ranking updates with no limits on locations, mobile rankings and unlimited website tracking and all these features completely lack in Ahrefs lite plan. SEMrush is my recommended alternative for Site Explorer. Input the URL, SEMrush will show you the number of organic keywords, traffic, ad copies, competing domain, top pages etc. SEMrush plan starts from $99/month similar to Ahrefs but you'll get a lot more resource usage and offers advanced SEO reports and could be the only alternatives to Site Explorer. Below are the five tools that work very similar to Ahrefs. Right now, Mangools might be the Best Ahrefs Alternatives you're looking for. Instead of speaking features, I'll let you know how Mangools can replace your existing work with Ahrefs. KWFinder was the first tool introduced by Mangools back in 2013 and now it's one of the giant keyword research tools. 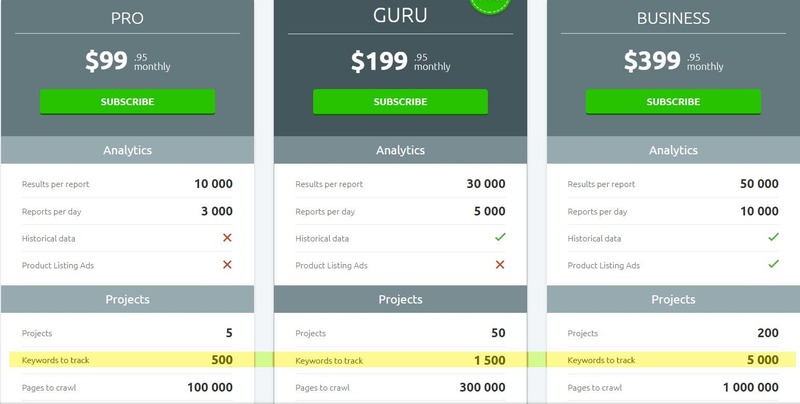 Mangools Basic plan comes with 100 keyword searches per 24 hours and it shows 200 related keywords for each search while the Premium plan offers 500 keyword searches per 24 hours and it shows 700 related keywords for each search. The below image says you all. With generous limits, KWFinder can be a good alternative for Ahrefs keyword explorer. SERPChecker will be the #1 Ahrefs Alternatives feature of SERP updates per month. It was one of the recent limitations where an Lite user ($99/month) can perform only “20 SERP updates per month” while you can use Mangools SERPChecker to perform 100 SERP updates every 24 hours even on the starter Mangools Basic Plan. The tool even allows 500 and 1200 SERP checks per 24 hours on Mangools Premium and Agency plans respectively. I spent an hour to find some other alternative for this SERP lookups but apart from SERPChecker, there is none another tool to perform this action. SERPWatcher, the rank tracker tool bundled inside Mangools offer daily ranking updates including mobile ranking, unlimited domain tracking, no limits on locations per website and here is a comparison of Ahrefs Rank Tracker and SERPWatcher Rank Tracker. 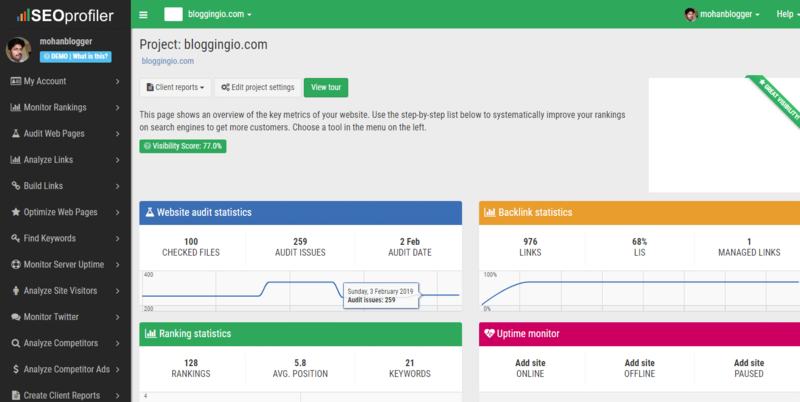 Linkminer is the backlink analysis tool from Mangools though it uses Majestic data sources. Most users know Ahrefs is still the king when it comes to Backlinks analysis while Majestic comes second best. If for any reason, you're planning to cancel Ahrefs for Majestic, you can actually look for Mangools instead of Majestic where the tool bundles Majestic data of backlinks along with most other tools thus making it a smart move. SiteProfiler is the latest addition which has the potential to replace to Ahrefs Site Explorer. For the given URL, SiteProfiler displays the domains top content, search traffic, social shares, top content, competing domain with metrics like DA,PA,TF,CF. If you're already a Mangools Free User, you know how good the UI compared to most tools in the industry. If not Mangools, Semrush should be your Ahrefs Alternative which does most things including site audit and in-depth competitor analysis which is not present in Mangools. Though priced similar to Ahrefs, Semrush has higher limitations on keyword research, report exports, position tracking and so on. Below are some of the areas where Semrush scores well. Semrush performs daily updates on position tracking aka rank tracking including mobile tracking on Semrush Pro plan $99/month while the former Lite plan includes ranking updates once in a week with a limitation of only desktop position. Semrush contains Social Media poster and Social Media Tracker where you can monitor everything happens about your domains including social shares, mentions etc. If you're doing Client SEO, then you'll love these features which lack in Ahrefs. You can send a customized PDF report of your clients which includes all the essential Semrush data of the site. On Page SEO checker is a great addition which does a lot more functions like analyzing other competitors in top 10 results and suggesting keywords, semantic ideas on a whole you'll get actionable recommendations to rank your posts higher in results. Semrush prices start from $99.95/month similar to Ahrefs, although you can test their services through Semrush Free Trial by adding a credit card. If you don't like them, simply cancel the account within 7 days, you won't be charged a single penny. Serpstat (check review), another all in one SEO tool in the making just looks like how Ahrefs looked a few years back. I hold a Plan B account bought in 2016 since they offered a massive 40% OFF if paid for 36 months. Do I really enjoy the tool? It all depends on the features I use. It's massive. Serpstat offers 2x more resources priced at $69/month compared to lite plan. You can check the official site, they have a neat landing page, learn whether they work well for you. Serpstat was not good for competitor analysis, keyword research apart from US the database. SEOprofiler, the least famous tool in the market, I don't see most people talk about them in forums or groups but they are very similar to Ahrefs. If you want to save over 75% of your money, leave Ahrefs and get an SEO PowerSuite Free account right now. SEO PowerSuite is the truly Unlimited data desktop-based tool which never puts a limit on most common tasks you would do with most tools. All the above things are just for $299 (get started with SEO PowerSuite forever free account) and the only thing to compromise, you should have a good computer or laptop to properly work on the SEO PowerSuite software. Honestly, above five all in one SEO tools are the real Ahrefs Alternatives where you can enjoy Ahrefs features at some affordable price.